Wiland Associates, LLC and our affiliates have planned, designed, facilitated, and evaluated dozens of discussion-based and full exercises nationally. 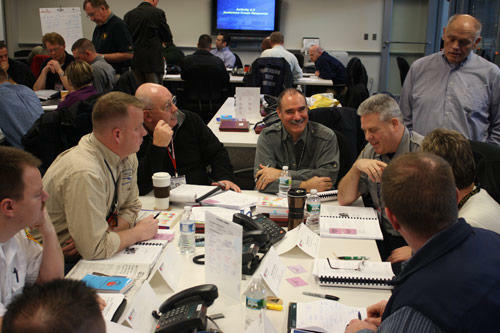 Our affiliates are fully versed and have intimate knowledge of the FEMA Homeland Security Exercise and Evaluation Program (HSEEP). HSEEP is a capabilities and performance-based exercise program that provides a standardized methodology and terminology for exercise design, development, conduct, evaluation, and improvement plans. Our affiliates include consultants certified through the National Emergency Training Center (NETC), in Emmitsburg, Maryland as Master Exercise Practitioners (MEP). Our commitment is to design exercises that optimize your agencies training time and resources. The national experience of Wiland Associates and our affiliates with incidents as varied as the Columbia Shuttle Recovery, Oklahoma Bombing, Seattle World Trade Organization Riot, BP Oil Spill, 9/11, Northridge Earthquake, Hurricane Katrina, and Station Fire provide each member with an unmatched combination of knowledge, skill, and understanding that delivers an exceptionally designed and evaluated exercise.